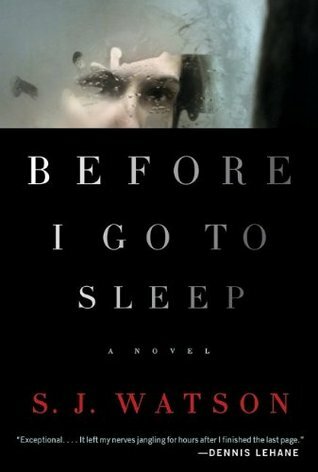 Better than a house of mirrors and teetering like a house of cards, Before I Go to Sleep takes you on a Memento-esque trip into the life of a woman whose memories are stripped from her every night when she goes to sleep. Christine suffered an accident seven years prior and now we wake every morning with her, follow along as her husband must reintroduce himself and explain her life and their life together, again and again. But Christine, encouraged by a doctor she’s been seeing in secret, has begun keeping notes. And those notes lead her one baby step at a time to the truth of her life and how she came to be the amnesiac she is. I did have this plot figured out long before the climax of the book, and thought perhaps the middle might have been tightened a bit, yet I still kept turning those pages. And it was worth it. This book makes you realize what a huge part of us our memories are, how they define us in subtle and hidden ways, and how much we rely upon their truth.